We at P-MediCyp Ltd would like to help you manage your fitness, weight control, to offer you various homecare equipment to measure a wide range of health parameters. To track calories and daily activities. We are able to offer various scales suitable for domiciliary use and hospitals. P-MediCyp Ltd also offer unique diagnostic devices for self-check of Glucose, Cholesterol triglycerides, Hemoglobin measurement, lactate and many more, fast simple and accurate, at your home and at ease. Various healthcare products to manage your personal health, at the comfort of your home. P-MediCyp Ltd specializes in innovative personal and home healthcare products for everyone. Our monitors allow to easily measure personal data and to easily share it with your doctor! With our products you will be able to monitor various parameters such as: blood pressure, weight, calorie intake, activities, vital signs, sleep parameters, blood Oxygen saturation and many many more. Try us now! Order and enjoy a quick delivery and good value for money. Need assitance locating the right Israeli Doctor, Clinic, Medical Centre or Hospital for your medical needs? P-MediCyp Ltd will guide you and will connect you to the most appropriate Israeli Doctor for your needs. Click here to learn some more. Looking for a home Cholesterol Analyzer that will enable you to track Cholesterol level in just two minutes? In search of a personal Cholesterol Analyzer that is accurate, fully automated and that will offer you a peace of mind knowing you are in control of your numbers? On the market for a convenient home device that will show you values of Total Cholesterol, HDL, Triglyceride and LDL, in one strip? We at P-MediCyp Ltd are proud to offer you the CardioChek analyzer, an handheld, battery-powered instrument, that use a test methodology called reflectance photometry, to calculate and display your HDL, Triglycerides, Total Cholesterol and LDL, using one strip only. One of the first steps to evaluate a patient's risk for heart diseases is to know their total cholesterol, HDL, LDL, Triglycerides and Glucose results. All these results can be measured in as little as 90 seconds with your CardioChek PA.
What is it exactly a Heart disease? Heart disease is also called cardiovascular disease and coronary heart disease- is a simple term used to describe several problems related to plaque buildup in the walls of the arteries, or atherosclerosis. As the plaque builds up, the arteries narrow, making it more difficult for blood to flow and creating a risk for heart attack or Stroke. Other types of heart disease include heart failure, an irregular heartbeat, or arrhythmia, and heart value problems. Your CardioChek PA Analyzer will quickly and accurately measure your lipid parameters, using a small sample size, to get results within two minutes! Your CardioChek PA Analyzer is very easy to use- Just 2 buttons that do it all! Your CardioChek PA device has a CE-mark, FDA clearance, CLIA-waived and CRMLN- certified. Your CardioChek will give you a positive impact in your wellness department! The CardioChek PA Analyzer is also recommended for any community outreach or worksite wellness program. You will be very pleased with the portability, ease of use and costs that are associated with using the CardioChek device. Having a portable Cholesterol Analyzer will enable you and your family to get screened at your comfort of your home, it is user-friendly and reliable diagnostic point-of-care analyzer. The CardioChek PA already screened over 70 million people in over 100 countries! P-MediCyp Ltd are the sole distributors of Cardiochek products for home cholesterol check in Cyprus and we ship throughout Europe and the Mediteranean area. Buy now the CardioChek PA system and start accurately determine your lipid and other values in less than two minutes! Our Body Compostion Analyzer or body fat monitor is idael for private and personal use but also fantastic fro dieticians, gymnasia and sports centers. Our body composition analyzer will help you manage your nutrition, fitness and weight control and can easily indicate if you are at the right weight and also whether or not you are nutritionally healthy. How does the body composition analyzer work? 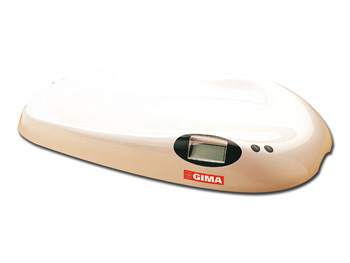 Gima body composition analyzer measures the flow of electrical signals (total body electrical resistance or impedance) as they pass through fat, lean ( muscle, bones, vital organs) or water. When the amount of fat , lean or water changes, so does the body fat signal, giving you a highly reliable accurate measure of the amount of each of these components that make up your total weight. 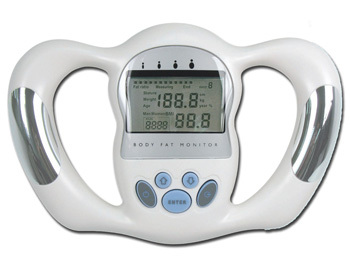 Body fat analyzer function and more. Your private body fat monitor has an auto power off (when no operation is detected for approxinate 2 minutes). The memory function of the body composition analyzer stores up to 9 personals data and 1 personal data for guest. Power supply : 2 x AAA batteries- not included. Buy now your personal body composition analyzer that is small in size and weight and that will help you to check the effectiveness of your weight loss program. Looking for a compact alcohol tester device to easily measure your alcohol concentration in your breath? Our GIMA Alcohol Tester will accurately measure your alcohol concentration, has a digital/graphic interface and animation, one hand operation. 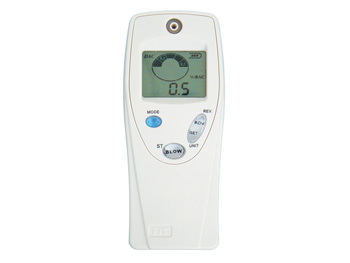 The convenient and reliable alcohol tester will supply a result with %BAC and mg/l values. The GIMA Alcohol Tester will be supplied in carton box with 3 blowing tubes and one cleaning cap. • Unit Size 107 x 45 x 25 mm approx. Looking for a smart home scale for measuring body weight (up to 180 kg) , a scale that can automatically Sync with your iOS devices? Looking for an accurate and intelligent scale that is also fashionable and prcatical to use? Accurate: Our smart scale has 4 high precision sensors that provides reliable, truthful measurements every time , any time and any where. Sociality: With iChoice APP, you can share your data and progress with your friends, accompany and compete with each other friendly. All the charts and share make body weight control so much fun. Without even noticed, you focus on your fitness. Staying in shape will not be so difficult anymore. Fashionable: Large crystal-clear blue-backlit LCD screen displays weight, it is not only easy to read, but also cool fabulous and charming; Strong toughened glass surface makes it unbreakable, smooth and bright. Practical: Our iChoice Smart Scale has a low power consumption, uses four AAA batteries, operates up to 1,000 measurements. The weight range capabilities is 0-180KGS(5-396lbs). 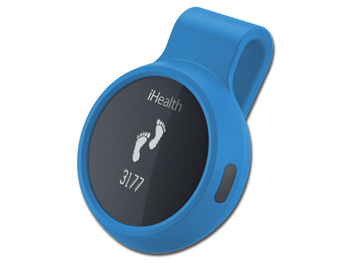 Customers who bought the Smart Scale model iChoice from P-MediCyp Ltd, also were interested in P-MediCyp Ltd outstanding iChoice Activity Tracker, here.